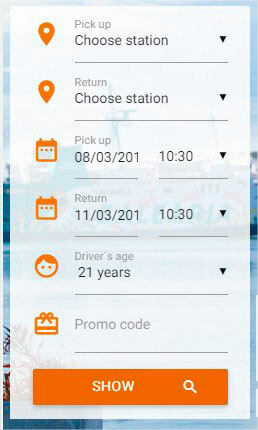 Book your rental car, pick it up at Ibiza’s airport and go out to explore the island while you try this autumn’s tastiest dishes. This year, a grand total of 33 restaurants on the island are partaking in the food festival and offering special menus that are inspired by the event’s slogan: “It’s pig slaughter time”. Each of them has a fixed price of 25€ (excluding drinks). Amongst the restaurants that participate in the event are: S’Illa des Bosc, Ca n‘Alfredo, Reart, Sa Nansa, Can Curreu, Es Nàutic, Es Ventall, Es Rebost de Can Prats and Can Berri Vell, all of which are quality restaurants and an excellent option for travellers on the island during this period. Participating restaurants of the food festival include very appetizing choices such as: stir-fried dish with mixed meat and potato cannelloni with citrus and herbs (Mirador de Dalt Vila), rice soup with pork ribs, mushrooms, cuttlefish and broad beans (Es Rebost de Can Prats), pork cheeks in Can Rich local wine, spices and seasonal mushroom risotto (Can Berri Vell), chicken with onions and dried figs (Rascalobos), squid in its ink with “sobrassada” sausage, garlic mayonnaise au gratin and pickled vegetables (s’Illa des Bosc) or free-range chicken noodle soup, squid noodles and low-temperature free-range egg (Es Ventall). On this edition there will be a Balearic honey competition for the first time; this event enhances the value of local production of this natural delicacy. Another novelty is the Ibizan olive oil tasting that all participating restaurants must include onto their Ibiza Sabor menus. 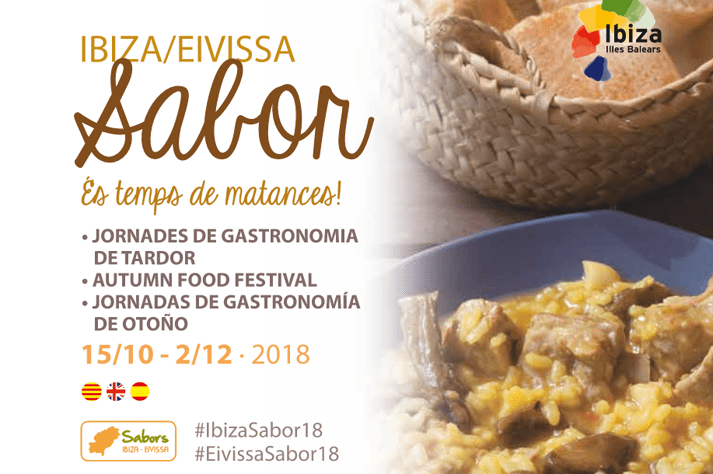 On Ibiza Sabor’s website you can find out more information about the event, learn about the participating restaurants in the autumn edition of Ibiza Sabor 2018, their special menus and the days of the week on which they serve them. Are you thinking about enjoying a trip to Ibiza in the fall? 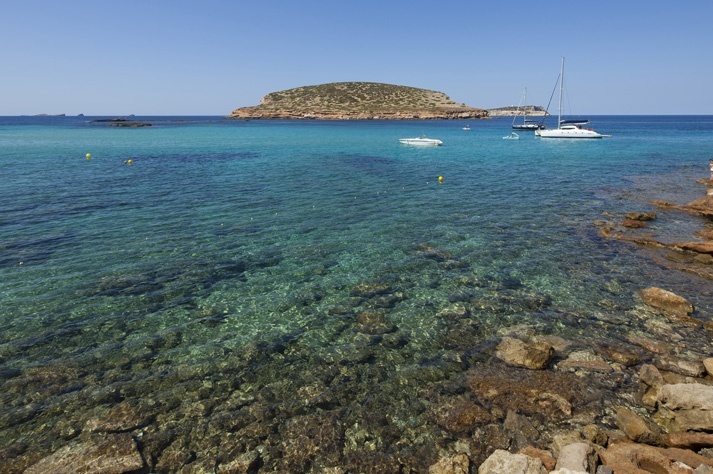 Discover in our blog what to do in Ibiza in the months of autumn and winter. 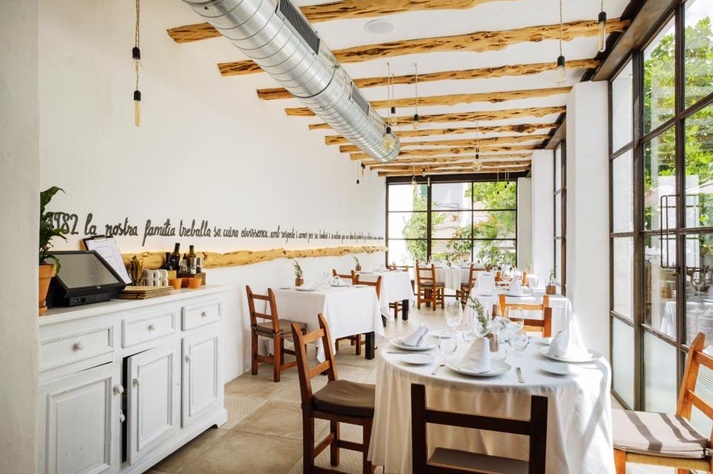 This entry was posted in Agenda, Ibiza in winter and tagged Agenda, gastronomy, winter. Bookmark the permalink.